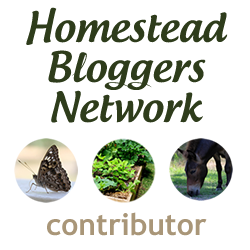 I can’t believe this is third year we’ll be doing the homesteading conference! If I’m being completely honest, I actually debated a long time whether or not I was going to do it another year. I enjoyed the conferences, but managing them is a challenge. It’s a surprisingly daunting task to gather together speakers, organize a schedule, and advertise for attendees! But, perhaps against my better judgment (at least when it comes to my sanity), I am diving into the fray once more. My motivation stems from several places. Conferences are fun — I’ve met a lot of like-minded folks through both my own conference and the conferences of others, like Patara’s Great Appalachian Homesteading Conference. I also love the learning, which is why I try to attend other learning events when I can, too. But the biggest reason I like to do the conference is this: I think it’s important to share good information with others who are seeking to learn. I don’t consider myself a homesteading “expert.” What makes one an expert, anyway? How many years do you have to do something (and do it well, no less) to become an expert in the field? I have no idea. But I do know that there are things I have learned that I can share, and things I haven’t learned yet that others can teach me. The conference is one of the best ways to do that. There is such a disconnect for most Americans between the past and the present. Somewhere along the line older generations stopped farming, homesteading, gardening, and eventually even cooking without a microwave. Younger generations lost touch. I was blessed to be raised up alongside my grandparents who were still steeped in the agrarian traditions of our ancestors. But these so-called “outdated” skills are still important today. They’re important for perspective…for history…for health…for our well being…and for a multitude of other things. One thing I’ve thought about recently is how much homesteading can help those facing financial hardship as well. In this country we like to turn a blind eye to the poverty that exists right under our noses. Poverty is something that only exists in third world countries, right? Wrong. And it isn’t only an urban problem, either. It’s not just the homeless man sitting on a street corner in Memphis, Chicago, New York, Detroit, or LA. Rural poverty is a reality. It’s your neighbor down the street or the child living on a Native American reservation. It’s the disabled veteran a few miles away. It’s the people you see on a regular basis but would never guess that they struggle to put food on the table. And it could just as easily be you or me. Unexpected medical expenses, a lay off from work, a fire, what have you — most of us are only a few missed paychecks or major financial or medical setbacks from serious financial hardship. How many people are living paycheck to paycheck and couldn’t afford to miss even a single one? And so few of us would be able to feed ourselves and our families if it happened to us. But on the flip side, can you imagine how empowering and helpful it would be for people to start learning again how to be frugal, avoid waste, cook from home, and provide more for themselves? Homesteading puts that power in our own hands. We can grow our own food and preserve it; produce our own meat, eggs, milk, and fiber; make or mend our own clothes; heat our own homes; provide our own water; help our bodies by supporting wellness naturally. This makes us healthier, it makes us more connected, and frankly I think it makes us happier, too, to work for something tangible…to enjoy the fruits of our labor in a real, first hand way. To work for something for ourselves and not just someone else. And then, if hard times do come, we’re that much more prepared. Reality is that sometimes things get tough. Ice storms knock out power, your city water gets polluted, your company has a massive lay off, you fall off a ladder and break your leg so you can’t work, etc, etc. (A retired family friend really fell off a ladder and shattered his leg this year — it does happen.) We have it incredibly easier than our ancestors who were out on the prairie — alone — providing for their families, or struggling through the Great Depression and the Dust Bowl, or carving out a life in a tiny mining town in Appalachia. Once upon a time trucks didn’t cart food from California to the other side of the country on a daily basis. Strawberries didn’t grow in the winter time and if you wanted to eat them in January it meant you preserved them in June the year before. If we all decided to eat local…put up as much of own food as we can…grow and raise as much of our own food as we can…and be as self-sufficient as possible…what an impact that would have. We would be less dependent on others. We would be more frugal financially. We would have enough food to eat if a winter storm prevented us from getting to the store for several days or weeks. We would be eating healthier and exercising more. We would reduce the number of animals living in factory farms. We would reduce the amount pollution from senseless plastic packaging on every little food item and we would bolster our local economy, too. Everyone can have a garden (yes — even in a city). Everyone can preserve food for themselves. Everyone can support local growers, farmers, and ranchers. Everyone can learn new skills. Everyone…everyone…everyone! can be more self-sufficient. We simply need to educate ourselves, and each other, so that skills which once were commonplace become commonplace again. I’m no fool — I know that no man is an island. No one can be 100% self sufficient. We all rely on things we must purchase from someone else, and we always have. Even the original homesteaders purchased goods from others — things like bulk flour, sugar, spices, coffee and tea, salts, fabrics, livestock, and other supplies. It’s no different for us. No one person — or even one family — can possibly do it all. But we can certainly do a lot more than we may think! I decided last year to always hold the conference on the last Saturday of September to make it easy for people to remember. This year that happens to be Saturday September 24th. It will take place from 9:00 am to 5:00 pm, with doors opening at 8:30 for a light breakfast and sign-in. I will begin announcing speakers, sponsors (for giveaways), and the class schedule soon. This year is going to be bigger and better than ever for sure! I’m really excited about the announcements that will be coming your way shortly. Stay tuned to the farm’s facebook page, the conference facebook page, and the conference website (and this blog, of course) to stay up to date. Registration is OPEN and early bird pricing is available on tickets until July 1st. We are working within certain space limitations so I highly recommend registering early to ensure space. It’s been my experience that people like to wait until the last minute for these things, but earlier is better — you’ll get the best pricing and will reserve your spot before it fills up! Simply head over the website to register. This year the conference has moved, so if you have attended the last two years please be sure to note that it won’t be at “the barn” this year. We will be holding the conference at Meeman-Shelby State Park in Millington, Tennessee this year. It’s only 20 minutes or so from the barn, so it’s still near the same area, but it will offer much better facilities for us. Things at the barn were starting to get a little c r o w d e d and I was also concerned with privacy for my grandparents. I think the park is going to be an awesome venue! I hope to see you and yours in September!